Plane buffs monitored Air Force One's flight path, tweeting out the plane's location in real time as it made its way to Iraq. President Donald Trump's unannounced visit to Iraq was no surprise to airplane buffs. 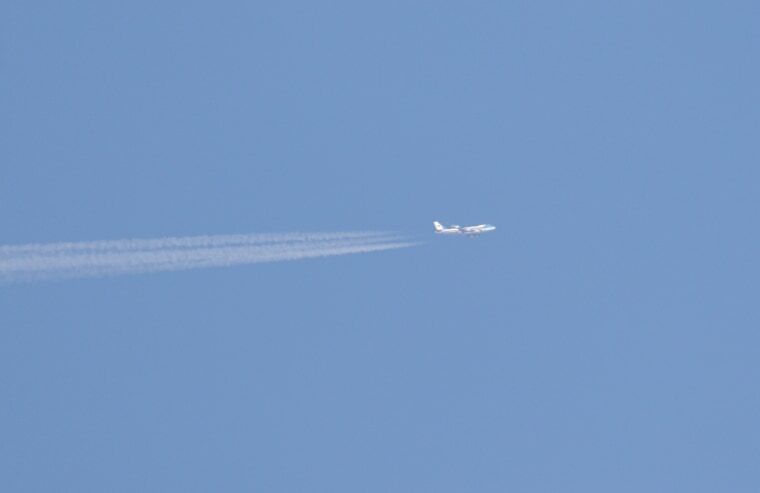 While the trip was shrouded in secrecy for security reasons, an airplane aficionado spotted the distinctive blue and white Boeing jet flying over England, and posted pictures of it on his Flickr account Wednesday morning. Online detectives figured out the plane's disguised call numbers, and tracked its movements — even sharing them on Twitter. WikiLeaks then got in on the act, tweeting out a map of the route the plane was taking. "The Boeing 747 usually used by Trump for Air Force One is currently moving towards Turkey," one of the tweets said. WikiLeaks then tweeted that the plane's transponders — the device used to to track plane flights — were either changed or disabled near Romania. Paul Reickhoff, an Iraq War veteran and founder and CEO of Iraq and Afghanistan Veterans of America, questioned the White House's operational security measures on Twitter, saying it's "a bit troubling that so many folks seem to already know about this if it hasn't happened already." The online tracking appeared to thwart, to an unusual degree, the security protocols that often have kept the plane's movements obscured on visits to war zones in the past. The plane's shades were drawn and lights were out for much of the 11-hour trip for security reasons, according to a Reuters reporter who was on the flight. Trump, meanwhile, stayed off Twitter for the duration of the flight — which to many on social media was also a tell that something was up, given his prolific tweeting in recent days. Asked if he'd had any concerns about making the trip, Trump said, "Absolutely." "I had concerns for the institution of the presidency, because, not for myself personally, I had concerns for the first lady, I will tell you," he said. "But if you would have seen what we had to go through, with the darkened plane with all windows closed, with no lights on whatsoever, anywhere, pitch black, I’ve never seen that, been on many airplanes, all types and shapes and sizes, I’ve never seen anything like it."